The 3rd Annual Science Fair Competition of Maryland Started promptly at 10:00AM on August 10th, 2015. We invited several high school students from the Harford and Baltimore counties to do an internship which allowed them to be Team leaders for the Science Camp. We created science camp signs around town, email blasts and Facebook posts. Seventeen children from ages 9-17, registered. 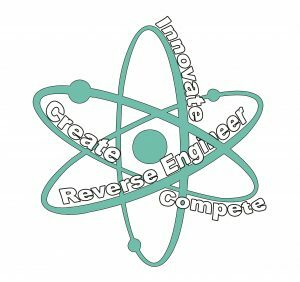 This year we raised the bar and challenge the children by creating these fun topics: Reverse Engineering, Innovation and Creating. Besides having more fun than any other camp, our goal for the Science Camp was introducing an interchangeable technology called E-BLOX, which are 1/2″, 1″, 2″, 4″ aluminum blox that you can place tubing or rods into, to build truly anything like a desk, bike, bench or tables but not limited to any big structures. The E-BLOX technology has endless applications. The children understood right away, how the E-BLOX worked, which was really exciting. We had gathered motors and items so they could understand reverse engineering. We taught them how to bring old technology which helped them create a new idea. In the meantime, the E-BLOX technology taught them to create and invent. As each day passed, the children started planning their ideas. We supplied them with notebooks and folders, it was fun seeing them draw out there designs. We introduced them to the newest innovations such as the 3-D printer which is a process of making three dimensional solid objects from a digital file. Another fun innovation which everyone loved is the Sphero, it’s a ball you can direct around using a mobile device. The topics were exciting for us because when we saw the children dive into taking things part and learning how things really worked, it helped them learn the basics to creating something new. Each day we had a semi planned out agenda although the children enjoyed a laid back atmosphere. They experienced what Reverse Engineering meant and taught them that Innovation is an idea they can help with for their future. “light amplification by stimulated emission of radiation”. Seeing and learning how a laser works and the different power of each color of light was a big hit! They all had their safety glasses on and they all looked so cool! For extra crazy fun, the children made and created their own rockets and water rockets, it was so much fun setting those off. We had a few water rockets go as high as 100 feet. They also learned how to burn paper by directing the sunlight beam through a magnifying glass, which was a big deal! After they learned how to do that, we brought out the fireworks and sparklers. SO MUCH FUN!!! Lots of noise and they didn’t want it to end! The closing ceremony was always bitter sweet, each child received an award with their name on it and a innovative prize. The smiles are unforgettable and we appreciated the hand written thank you notes we got in the mail soon after the science camp was over.